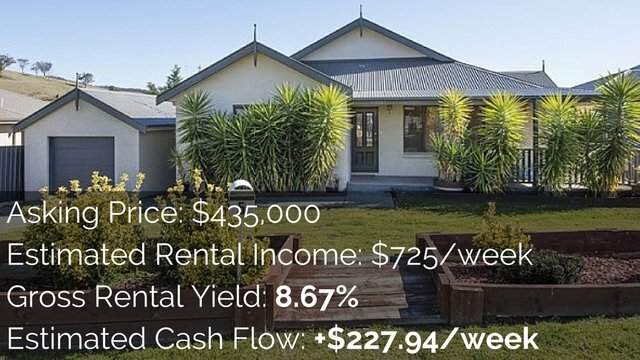 How Many Investment Properties Do You Need To Be Financially Free? 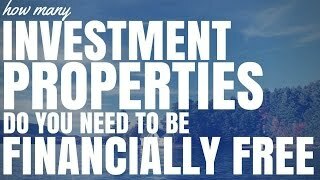 How Many Investment Properties Do You Need To Be Financially Free? Today I want to talk about how many investment properties you need to become financially free and I want to go through some figures with you so you can start to assess how many investment properties you need to achieve your financial goals. 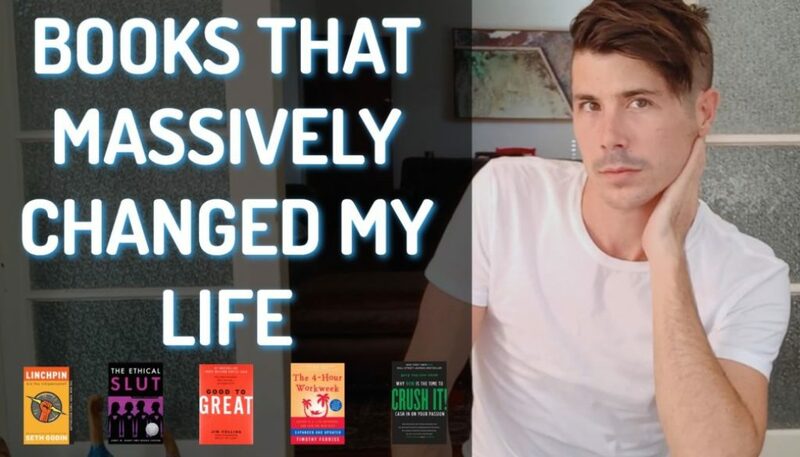 A lot of people say “Ryan I’d love to own 10 properties or I want to buy 10 properties in 10 years” or “I want to own 130 investment properties like Stephen McKnight in his book “0 to 130 properties in 3.5 years” but a lot of people don’t understand why they actually want to own that many properties and how many properties they actually need to achieve financial freedom. Today we’re going to go over just some basic calculations so you can get a rough estimate at how many properties you’re going to need. These are never going to be perfect because we’re working on assumption that every property is going to generate the same amount of income but hey at least they can give you a benchmark and something to shoot for and my guess is what you will find is that once you achieve you goal or achieve your benchmark. It would be very easy to keep going to purchase more properties and to become even wealthier. 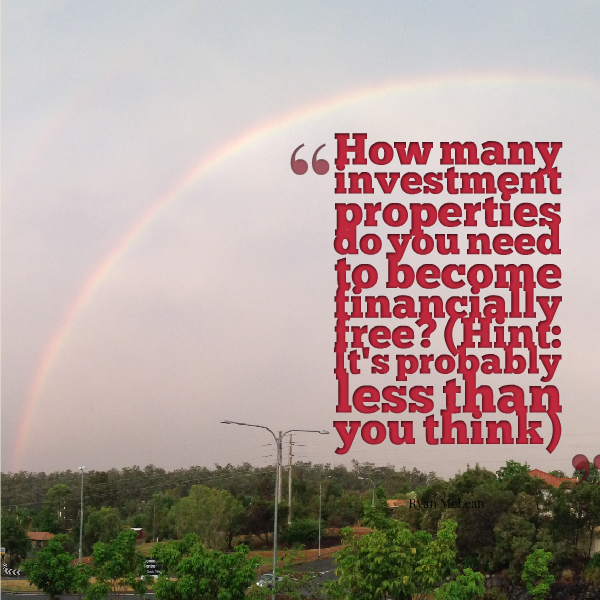 So there’s two ways that we can calculate how many investment properties that we need. The first way is assuming that we don’t have any mortgages left on the investment property so we are assuming that our properties are all paid off. We can achieve this in a number of ways, either we pay it off over time or maybe with a large portfolio and then we sell a couple to eliminate out debt. But let’s assume that we paid it off and we have no mortgages on our property. The first step that you need to take is your income goal and what you want to achieve. Let’s take an example of $100,000 which is a decent income by anyone’s standard. Next step is to add 20 percent to that. This is a rough estimate again but what will happen is we want to add 20 percent in cost so assuming that we are looking at a hundred thousand dollars that would mean twenty thousand dollars on top with that in cost. So income goal is now a $120,000. Step number three is to then divide that number by 52 to give you a weekly figure so we divide $120,000 by 52. 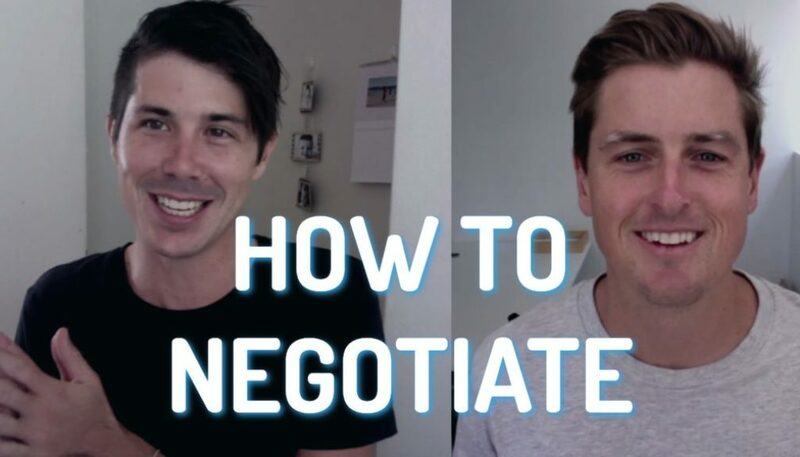 We get $2,307 dollars per week that we need to achieve if we want to achieve financial freedom at the income goal that we’ve set and then lastly we need to look around at properties within our price range and work at how much they’re renting for. Then we are going to extract like that and work at how many properties we’re going to need. So let’s take an example of the property that rents for three hundred dollars per week. We’re going to take $2,307 dollars and will divide it by three hundred and that will give us a figure of 7.7. 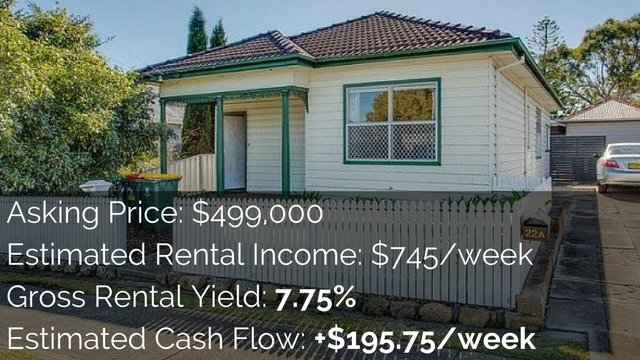 So realistically if we want to achieve financial freedom of $100,000/year with properties that generate $300/week in rental income. 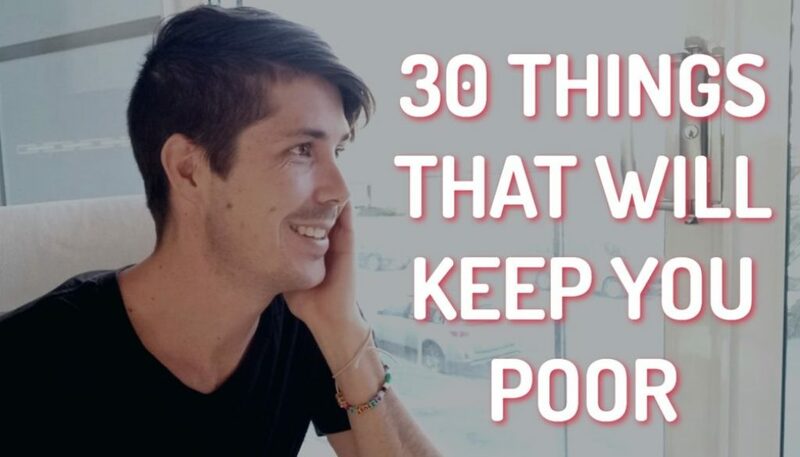 We’re looking at 8 properties that we would want own to come close to that goal. The other way to calculate it is assuming that you still have mortgages on your property. Steve McKnight purchased 130 properties in 3.5 years but he didn’t pay all those properties off completely to become financially free. So he still had mortgages on the majority of those properties. So how do we calculate that all rather than adding that 20 percent to our income goal? Step number one is just to take your income goal as it is, so in this case $100,000. Step number two is then to divide it by 52 to get our weekly estimate and in this case it comes to $1,923 dollars per week. And the last step is to divide by the profit that we are going to expect on average from each about properties. So let’s look at the $300/week example again. Let’s say that we’re estimating a profit of a $100/week per property. Well, $1,900 dollars divided by $100 gives us 19, in this case it’s 19.23 properties that we would need. So about 20 investment properties to achieve with our income goal and financial freedom. Now assuming that we achieve our income goal with 20 properties we can then go ahead and we can pay down some debt. 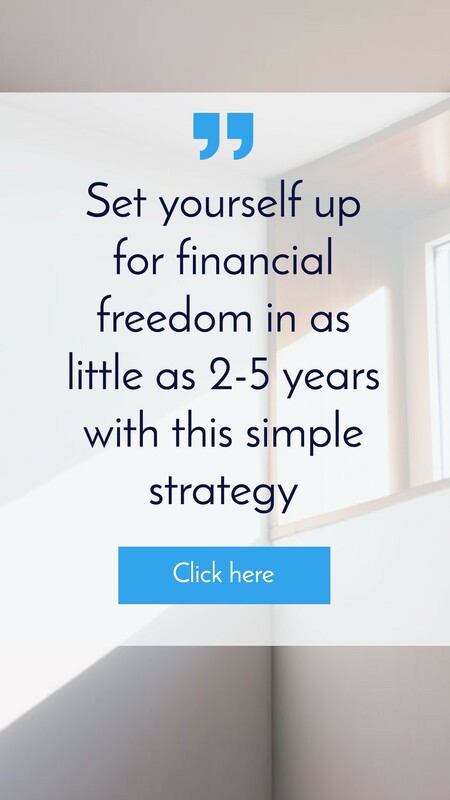 You could potentially sell some properties and we can look at becoming mortgage-free then as well but there you have some simple calculations on how you can work at exactly how many properties you’re going to need to become financially free and be able to retire.